Design: Manzoni e Tapinassi. 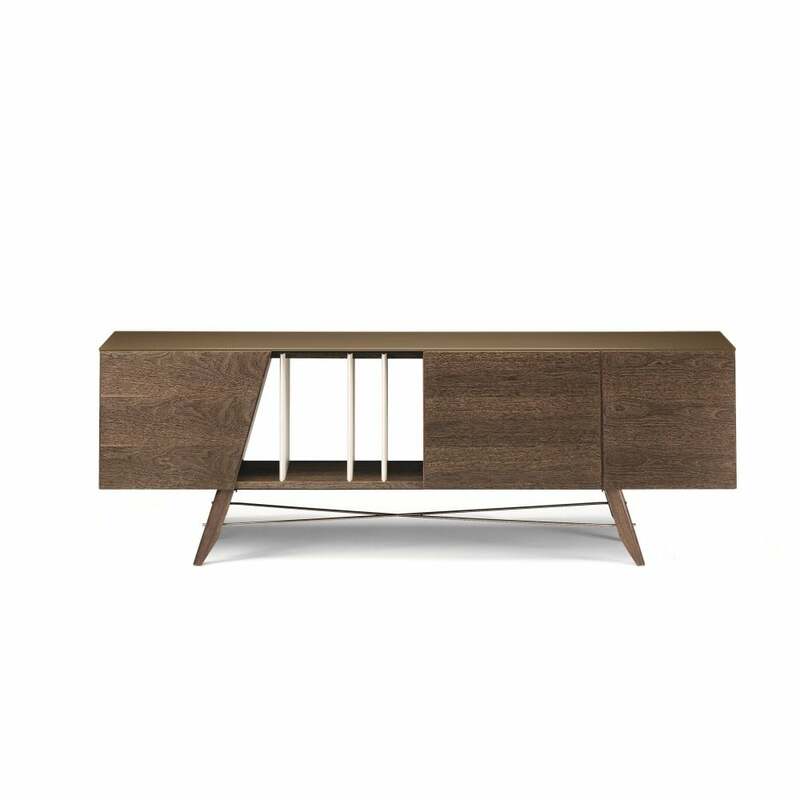 Structure: MDF veneered in Canaletto walnut, oak moka or sucupira wood. Vertical panels stained beige Pantone 7529C. Drawn metal, micaceous brown, galvanized titanium or brass stained. Top: acid etched glass, underside varnished in grey-brown or matt Emperador marble. Feet: ash wood, Canaletto walnut or oak moka stained or ramin wood sucupira stained.